Nebraska Governor Pete Ricketts joined state representatives, and officials from the Omaha area in welcoming Shen Yun Performing Arts to the state’s capital in February. The company, whose mission is to revive 5,000 years of Chinese civilization through dance and music, performed at the historic Orpheum Theatre in Omaha, Nebraska, on Feb. 2 and 3 as part of its 2019 world tour. “On behalf of the citizens of Nebraska, I welcome you to Omaha for the Shen Yun Performing Arts Show at the Orpheum Theatre,” Governor Ricketts wrote. Mayor of Omaha, Jean Stothert, also issued a proclamation welcoming the performing arts company, noting its goal of reviving China’s cultural traditions. “Throughout history, almost every culture has looked to the divine for inspiration,” the proclamation read. State Senator Jim Scheer, Speaker of the Legislature, congratulated Shen Yun on another successful year. The company, which travels the world every year with an all-new performance, is now in its 13th year of touring. “Shen Yun masterfully invokes the themes of virtue, compassion, and courage while blending them with a stunning colorful and exhilaration performance of classical Chinese dance,” Scheer wrote. Congressman Don Bacon and Senator Tony Vargas also sent letters of welcome and thanks to the company. 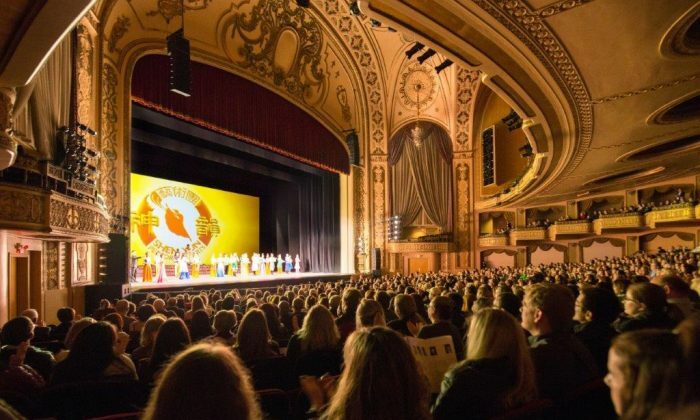 Over the years, officials from city, state and federal governments have supported Shen Yun with welcome letters, days of honor, and proclamations, as it has arrived at various cities around the world.